A seed that grew into purpose. In Vedantic Hinduism. The basis and essence of all things in the material world from which all other elements come to be: water, air, fire & earth. Akasha is the first and most important. When we first arrived here in awe of the open spaces that the eyes could not quite grasp true, we understood then that this is the perfect space for the essential elements of healing, wellbeing and wellness to also form in perfect balance. They do for us, and we hope for all that come to visit. In Romanian the word “ACÁSĂ” (pronunciation: [aˈkasə] means "at home”, for us this is not only our home but it is also a place to rediscover the essence of life, reconnecting with nature and with our inner worlds. Daniela is the lady with the fertile earth for our seed, she first found the village of Pestera and suffice to say she fell in love. With the people, the nature, the sounds of birds & many puppies that often follow her about. For over 20 years Daniela lived in London where she has a successful business analyst career and her own business consultancy practice. Daniela always had a passion for healthy eating, sourcing organic fresh produce & healthy cooking. One day she felt the call to return home to Romania to start what Akasha is today. 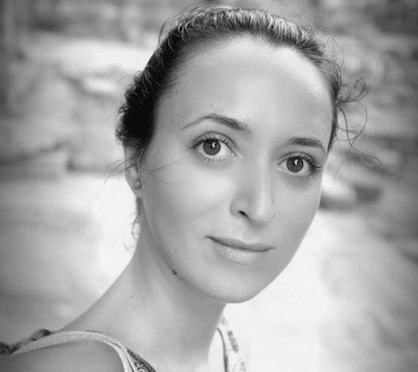 Connect with Daniela here @danielaupintransylvania or email her at daniela@akasharetreat.com. Irina is the lady with the seed, the yoga retreat programmes inspired by her own holistic healing journey. Irina lived in London for over 15 years and ran an international travel startup when she discovered the true benefits of yoga, over 8 years ago, and with it a passion for health and personal development. Irina qualified as a yoga teacher in Goa, India and holds E-RYT 200hr certificate by Yoga Alliance for Ashtanga Vinyasa yoga with subsequent courses in Yin Yoga and anatomy, alignment and the art of yoga sequencing. Her style of teaching is very much geared towards healing the whole body emotional, physical and mental balancing aspects of meditation, breathing techniques and incorporating motivational stories to leave each student with a feeling of being at peace and centred. She does not advocate for Yoga as a workout and considers each class an opportunity to uncover more spiritual aspects within ourselves, as well as personalizing the experience for her students whenever possible. She believes that we are not humans having a spiritual experience but spiritual beings having a human experience with all the trials and tribulations that come in life. Hence the class does not often end with savasana but a guide map for how to introduce yoga off the mat and into daily life. From the beaches of Goa, participating in yoga retreats & traditional ashrams, studying Ayurveda, practicing meditation with Buddhist monks in Tibet, hiking the Himalayas & integrating Bhakti Yoga, her journey motivated her to apply her yoga practice as an integrated part of a healthy lifestyle and to create the retreat experience for Akasha in Transylvania and the Akasha Escapes.